In Via Montebello, corner with Piazza Ognissanti, nestled in the historic center of Florence and close to the American Consulate, we find this extraordinary renovation of a whole 5-storey building entirely under renovation. The project entails the recovery of the building for high end residential use, which allows high quality investment in line with national and international real estate market. 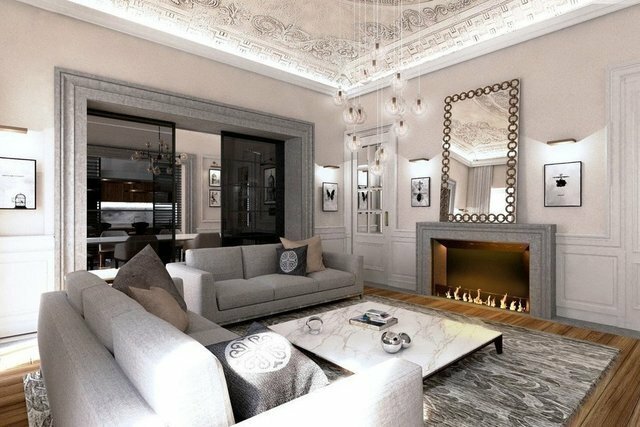 It consists of 5 apartments, one apartment per floor, with the possibility to restore the apartment according to your own style, classic or contemporary. The properties are sold fully furnished with furniture of the most renowned Italian design companies. The standard apartment is approx. 290 square meters; the main feature is the value of its finishes and the brightness of each room. There is a spacious living room, a large dining room, a beautifully furnished and full-optional kitchen, 3 bedrooms of 20 sqm each, plus 4 bathrooms in the sleeping area. The property has a lift to the floor and a concierge service 24 hour a day.